Our family is big into games. Board games, card games, you name it. So I'm bringing you some games to consider for the holidays. Whether you're giving them as gifts, or bringing them with you on a family trip, these are great. The Spot It deck has 55 cards with 8 pictures each. Any two card will have one image in common. While there are 5 ways you can play the game, basically they all involve matching one of the pictures on your card to one of the pictures on another card before another player finds a match from their card. Given our competitive family, the games are intense. Since there are 55 different images, it can be hard to remember the right description for every picture (we'd call out "boat" when really it was a houseboat, or "building" when it was really the Transamerica Pyramid). In some games it's easier for adults to win. In this one, the kids did equally well. 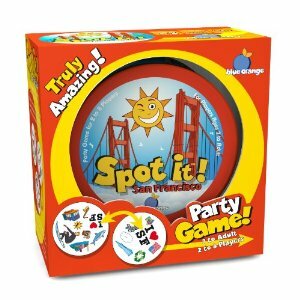 Made by a Bay Area game company (who sent the game to me for review), they make various versions like the San Francisco edition we got. I like that it's portable and small enough to play on an airplane. 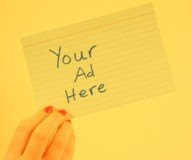 You can play Spot It online and try it out. Instead of one person acting something out for a group, the group acts something out for one teammate. 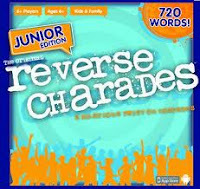 My kids loved this game (sent to us for review), where they got to act like dorks and watch us acting like dorks too, trying to act out as many words as possible within 60 seconds. My husband didn't love it - he's into more strategic games, but watching the kids laugh that much was worth it. This is my son's latest obsession. 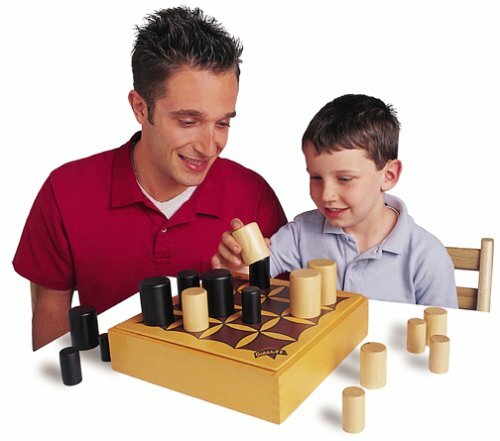 It's like a combination of Connect Four and Tic Tac Toe, only you can use your larger pieces to cover (or "gobble") up your opponent's pieces to prevent them from winning. It's a simple game to learn, but when you start playing, you realize that it's quite complicated and you need some strategy (hence my husband loves it too). This is my family's favorite game. Warning: it can be addictive, and learning it takes awhile. It's a strategy game and those who love it are cult-like in devotion. Games take about an hour each. It's for older kids. Mine (ages 9 and 11) are on the younger side but they've grown up watching us play and we are dedicated teachers. 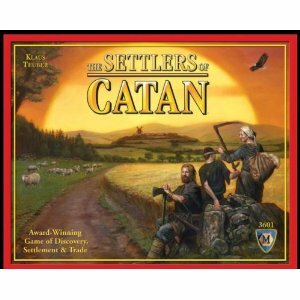 There are lots of spin-off games as well, none of which we found are as good as Settlers of Catan. Huzzah! A great card game where you spot patterns, yelling SET when you find a group of 3. This is a good game for kids and adults, once you understand what constitutes a set (the rules show examples). We play a lot in my family. It's kind of like a more complicated version of Blink. Can play on an airplane? 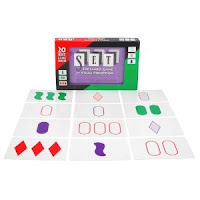 yes, but not really easily because you need to lay 9 cards out at a time. My sister just got us this game, and already I can't play it with my husband (because he always wins). It's like Connect Four, but with rotating sections. The goal is to get five discs in a row, but you are allowed to turn one of the nine boards 45 degrees after placing your disc. Your opponents can do the same. Therefore you need good spatial abilities to see where you (and your opponents) are going to connect when the boards are turned. 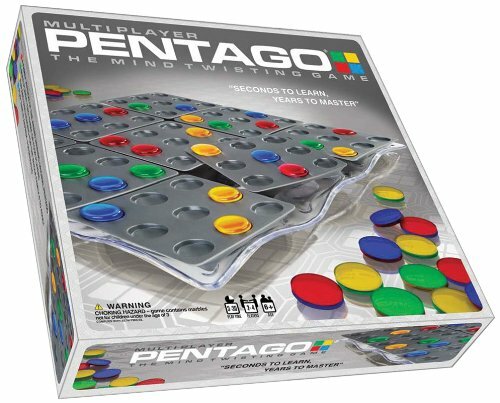 I haven't tried it yet with four people, but that would be a very different game than with 2. You can also buy a 2 person game that looks a little different.